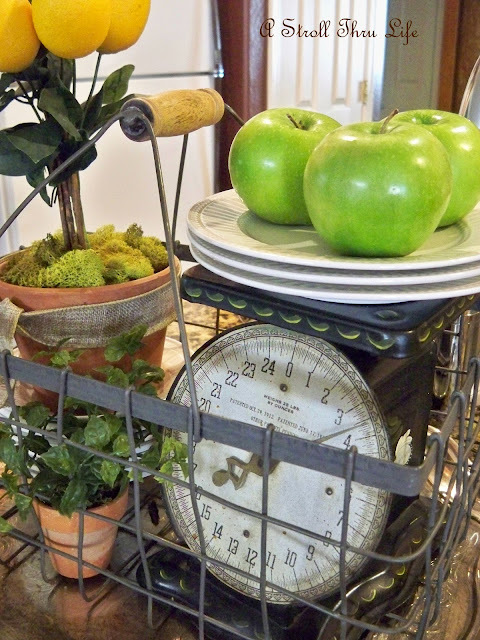 Fall just screams apples to me, so I thought I would create a little vignette in my french wire gathering basket. I think it's time for an apple pie, how about your? I have one of those as well -- currently it is in the basement holding the things I took out of my dining room dough bowl (it was a way I could get that stuff downstairs!) but I normally use it for Farmer's Market produce! I think they are a great piece and EVERYONE should have one! This looks great, Marty! 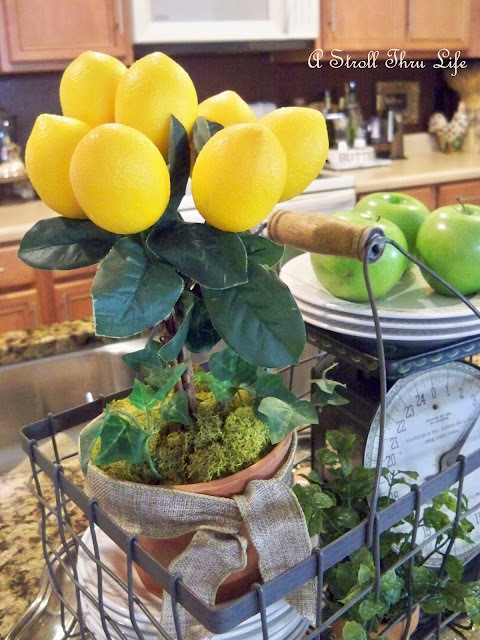 Love how you created this cheerful fall vignette inside the gathering basket! Great combo in the basket. Love the basket- so many possibilities with it too! 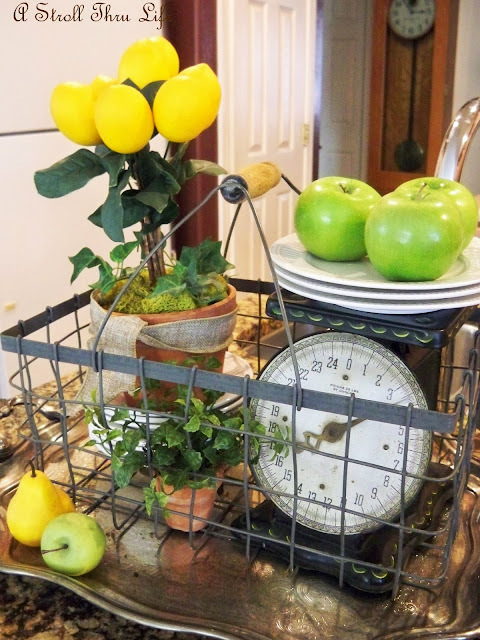 Love the vignette you created with the pretty wire basket, Marty! 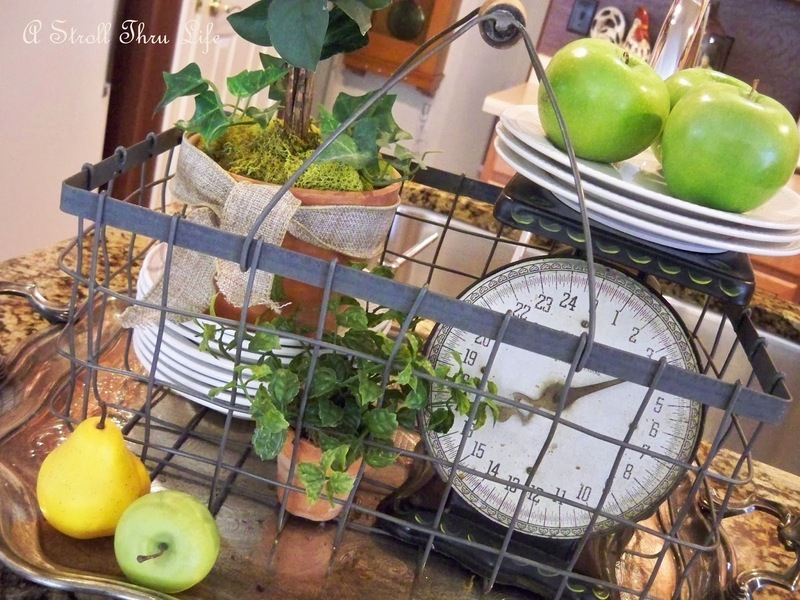 I love wire baskets and pick them up whenever I run across them. They are both useful and decorative. Will be linking each week to Inspire Me Tuesday. Am now following. Hope you will follow me back so I don't miss a thing. Love Love Love your vignette Marty. That basket is so sweet. Apple pie with some vanilla ice cream please. Your basket is fabulous Marty! Fabulous vignette in that cute basket. 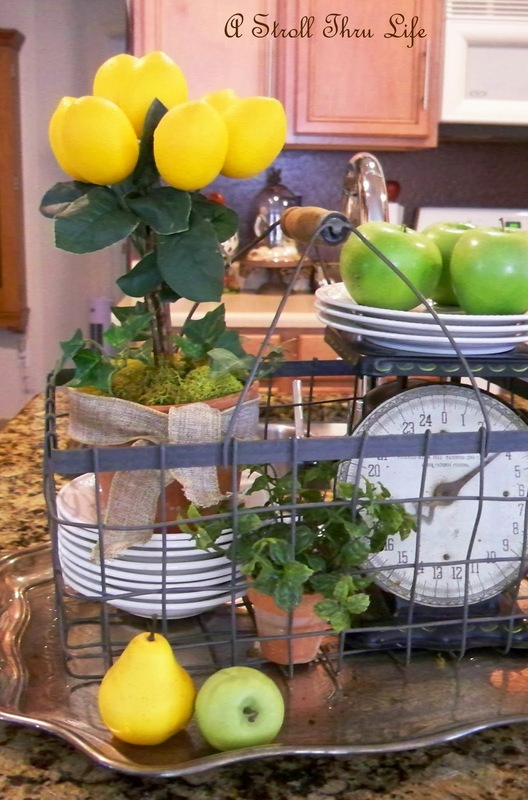 Perfectly delightful basket -love your vignette! 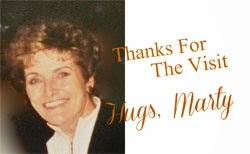 Super cute vignette Marty! BI'm seeing a lot of baskets and hope you saw Cristina's DIY one! I love how you manage to come up with these beautiful settings dear! What a neat idea, Marty...and everything compliments each other. I want that scale!! 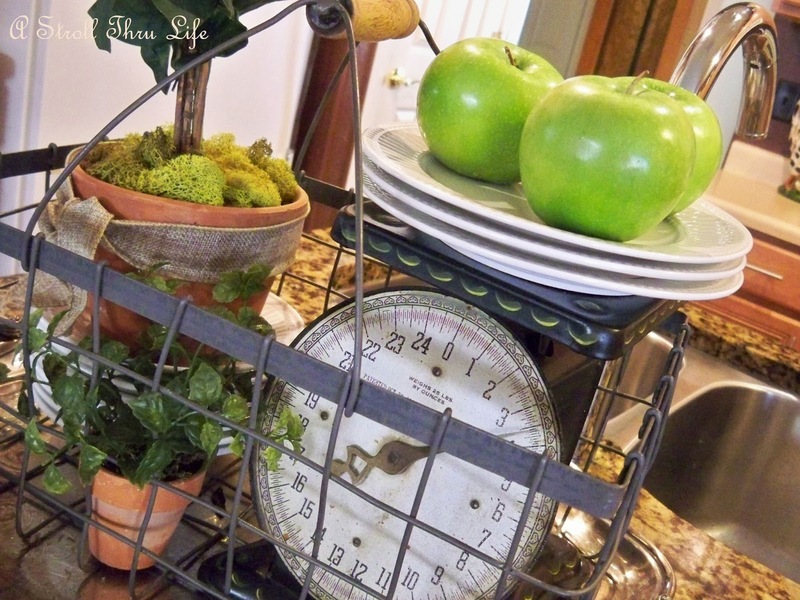 I have a couple of those vintage wire baskets. I love how you dressed yours up for fall! Great ideas! I love your basket. Great assortment of items for the vignette. So pretty! Love it Marty! You always have such fresh ideas. Looking forward to seeing you next week. I think I still have your phone number...I will check my cell tonight. I never heard from Liz...could you contact her too? Very pretty ! Love your apple vignette ! I love that vignette! The basket is just wonderful. I am having a Fun Fall Foods Linky party tomorrow and every recipe link (old or new) is eligible to win the giveaway. I'd love for you to link up one of your favorites! Sweet arrangement! You sure keep busy! I don't have a single wire basket! Not one! But you can bet your bippy I am on the lookout for one now. Yeah! Looks great Marty. Love your basket. 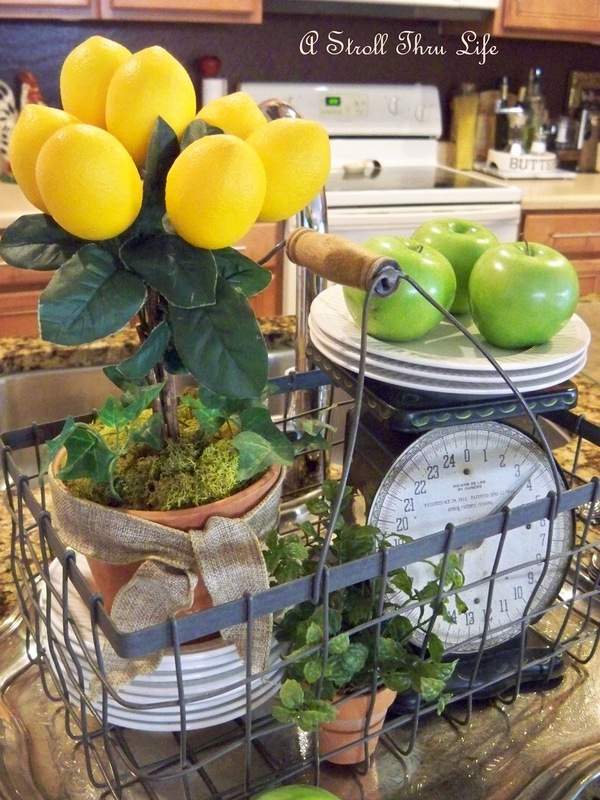 Love the vignette you put together in your basket, Marty! Beautiful! Love the basket and the vignette! Thanks for sharing at TTF. LOVE the basket Marty! I have been looking for something like that~your scale looks so cute tucked inside! Love it Marty it looks perfect! Great find Marty! I love it! The arrangement is wonderful. Did you make the lemon tree?